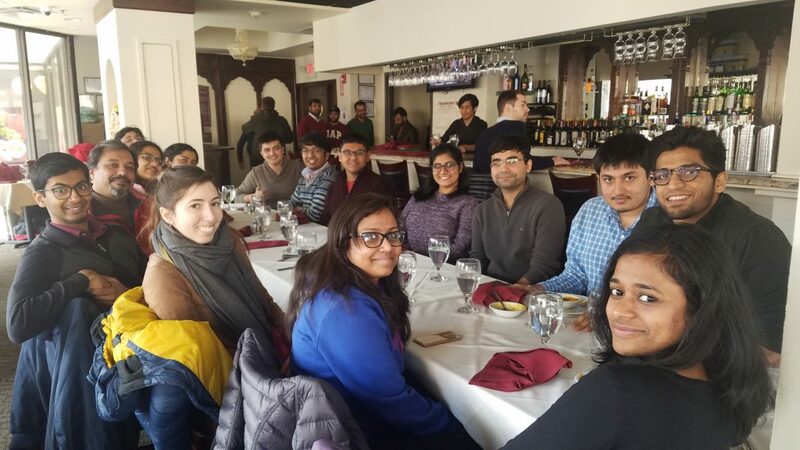 Professor Aseem Ansari met with Khorana Bose alumni this past weekend for a lunch in the Boston area to officially begin the Boston Alumni Chapter for the Khorana Bose Program. The names of the scholars that are excited to become apart of the Alumni Chapter are Jishnu Das, Kalki Kukreja, Chetan Srinath, Deepshikha Dogra, Eeshit Dhaval Vaishnav, Shalini Gupta, Vivek Kumar Dwivedi, Niranjana Natarajan, Chinmay Shukla, Sarita Koride, Abdul Majeed, Shanmugapriya, Abhinav Gupta, and Arkopal Dutt. We are very excited for this group of scholars to pay it forward to the incoming scholars to Boston schools like Harvard and MIT this summer 2017. This is a great example of how the Khorana Bose Program is not an isolated summer research internship, but a life-changing experience that cultivates a love for sciences and community in the scholars who participate.